Our signature, soft-chews are easily one of the most popular medication forms that we compound. With the ability to meet the specific needs of individual patients with customized flavor options (including hypoallergenic), our chews are shipped out to pets all over the state. In an organized effort to reduce waste, our team is excited to launch our new, more environmentally friendly packaging. This new packaging will be very similar to commercial packaging for dog and cat treats. They are foil based, resealable bags that provide two layers of protection from moisture and light. 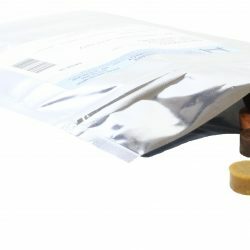 These easy to open, recyclable bags will provide quicker access to your pets’ medications while still protecting the chews from outside elements. These bags are such high quality, that with a quick clean, they can even be reused. For free samples of our 14 flavor options, call and speak with a representative today. This entry was posted in Eco-Friendly, Flavored Soft Chews, Products and tagged compounding, flavored medication, life hacks, pet hacks, pet medication, pet meds, vet meds, veterinary care. Bookmark the permalink.